Having trouble with a Machine? Need a Gettys servo repair Fast? Gettys and Elwood-Gettys servo repair nationwide service. No hassle, no fuss customer care and thorough testing after our rigorous repair process, are just 2 benefits of choosing Repair Zone as your go-to Gettys servo motor repair! Our high rated technicians test each component to make sure you get what you need: no un-needed service or extra costs. 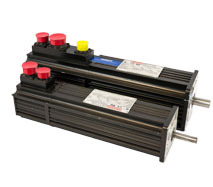 Or, browse our Gettys Servo Motors for repair, exchange, or purchase.